NEW! 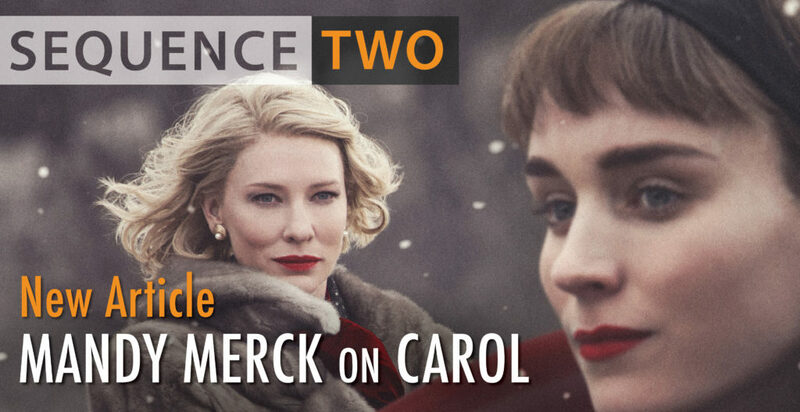 Mandy Merck, ‘NEGATIVE OEDIPUS: Carol as Lesbian Romance and Maternal Melodrama’, SEQUENCE: Serial Studies in Media, Film and Music, 2.3, 2017. ISSN 2052-3033 (Online). Online at: http://reframe.sussex.ac.uk/sequence2/archive/sequence-2-3/ [Published on August 4, 2017].